Antonin Dvořák wrote ten operas, of which Rusalka is his ninth. Written in 1900, it is regarded as something of a national treasure in the Czech Republic, but, until recently, it was really only the heroine's ravishing ‘Song to the Moon' that was widely known by international audiences. This is a great shame, because it is an immensely rewarding work with a strong, theatrically successful libretto and richly inspired and varied music throughout all three acts. Fortunately, matters are gradually being rectified. The Met first presented the work in 1993 with the Slovak soprano Gabriela Beňačková and revived it in 1997, 2004 and the present season, featuring Renée Fleming in the title role in all 3 revivals. 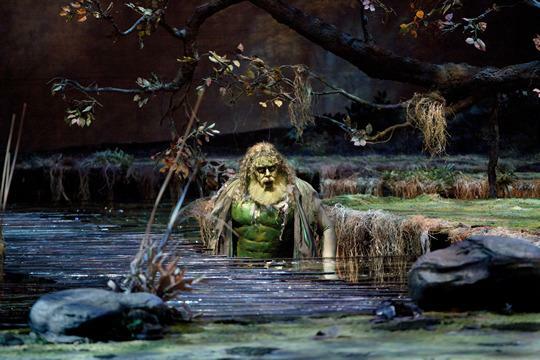 The Royal Opera has presented Rusalka in concert only, again with Fleming in the title role, in July 2003. Productions at the Salzburg Festival in 2008 and in the forthcoming Glyndebourne season indicate that the opera may be gaining more of a foothold in the international repertoire, and not a moment too soon – the piece is not difficult to cast and plays to the strengths of a strong lyric soprano able to inspire sympathy with an audience. The Met certainly had such a soprano in Renée Fleming for this performance, attended on 12 March. As many will be aware, Fleming is not just a strong lyric soprano, but arguably the reigning diva de nos jours, and the poster girl of the Met's 2008-09 season. She gave a heart breaking account of the title role, in wonderfully fresh voice that seemed to bend to her will without any apparent technical effort or calculation. Her ‘Song to the Moon', almost an entrance aria, was remarkable for pliant phrasing and beautifully finished lines that demonstrated her magnificent breath control, but it did lack something in terms of forward direction – the choice of tempo seemed to fall into the ‘because she can' category, rather than what was necessarily ideal from an artistic point of view. The show stopping moment over (which, curiously, did not stop the show), Fleming sang with commitment and consummate musicianship. She was fervent in her decisive scene with the witch, despatching some blazing top notes, and tragic towards the end of Act II when describing her despair to the Water Gnome. Her acting during the last moments of Act I and most of Act II, in which she is mute, was truly affecting, traversing girlish joy and rapture and intense human suffering, sorrow and remorse – all without singing a note. 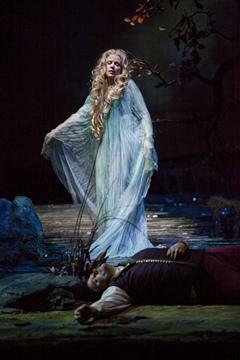 The aria at the beginning of Act III in which Rusalka expresses her loneliness, being estranged from her sisters and from her human lover, was Fleming at her touching, lyrical best. The overriding impression was of top notch professionalism, strong identification with the character and a real desire to serve the composer, allowing the audience to forget that they were seeing a star, and get swept away by a performance of the highest quality and integrity. In contrast to Fleming's long established Met presence, the tenor playing the Prince, Aleksandrs Antonenko, was making his Met debut. He was a most impressive singer, with a dark, rich tenor voice that had no difficulty essaying the higher lying phrases. If he wasn't the most searching, probing artist, he was disarmingly passionate and natural on stage and, assuming he learns to fill out the legato in his singing a little more, will no doubt rise to the front rank of spinto tenors in the world today. Stephanie Blythe, who played Ježibaba the witch, has something of a cult following of her own at the Met. She was, on the whole, hugely impressive, marrying her enormous voice and fearsome chest tones to a portrayal that emphasised the comic elements of her character's scenes. I felt there was some loss of colour and resonance at the top of the voice however which suggests to me that she is a natural contralto, and that continuing forays into dramatic mezzo-soprano repertoire, such as Amneris, may be unwise. 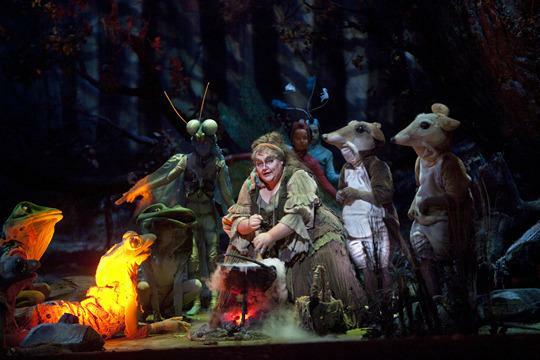 As the Water Gnome, Kristinn Sigmundsson (pictured, right) went beyond the apparent limits of his role and managed to convey something of a father's tenderness and sorrow at Rusalka's plight. He may not be the smoothest bass around, but he was more than capable of encompassing both the lyrical phrases and the climactic outbursts in his aria. As the Foreign Princess, Christine Goerke captured the imperiousness of the character well and sung with impressive, if not especially appealing tone, although she seemed somehow shy of the top notes. Tipped as a dramatic soprano to watch, one would have to hear her in a more congenial role to make a fair assessment of her merits, but a more beautiful voice would have been preferable here. The smaller roles of the wood sprites and servants were all admirably taken. The production, by Otto Schenk with sets designed by Günther Schneider-Siemssen, was totally literal. No effort appeared to have been made to investigate the story or the psychology of the characters, but then we all know how that can sometimes turn out, and its absence was probably welcomed by many. The scenery was quite simply stunning. Acts I and III achieved the glittering lake surrounded by a forest with more realism than I had imagined possible in an opera house. 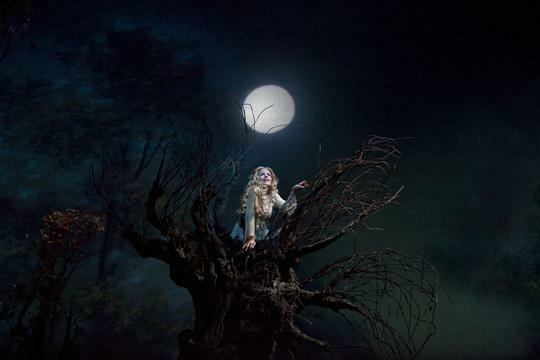 Lighting by Gil Wechsler made a huge contribution to this, giving the night an ethereal beauty but also effectively providing the moon when called for, and a seamless transition to daylight. The set for Act II was no less impressive, but I found the style of the architecture of the Prince's palace placed matters a little too firmly in the eighteenth Century. A little less specificity, or perhaps just increased temporal remoteness, would have helped to preserve the fairy tale atmosphere intended by Kvapil's libretto. My only real gripe with the production was the fact that children appeared to have been used to portray the animals in the witch's scene in Act I. It may seem a little miserable of me, but I felt that adult dancers would have coped far better with the challenges of portraying dragon flies, mice and frogs, particularly in the case of the latter animals' difficult exit into the lake. What was no doubt intended to charm came across as an amateurish moment in what was otherwise a spectacle at the highest level. The score of Rusalka contains many diverse elements, including sheer romanticism, folk inspired music, ceremonial pomp and circumstance, and what many have described as a foretaste of impressionism. The conductor, Jiří Bĕlohlávek was on top of all these styles and gave a masterful account of the opera. He never overwhelmed his singers and, perhaps aside from the above mentioned diva-indulgence in the ‘Song to the Moon', always chose appropriate tempi. The homogeneity of the orchestral timbre, particularly in the shimmering music associated with the lake and with light, was breathtakingly beautiful, and he consistently achieved the right atmosphere, whether it was sinister, joyful or that of public spectacle, thanks to the virtuosity of the players in the Met orchestra. With Bĕlohlávek's skill and insight alongside such consistently high quality singers, and mesmerising sets, this was a rare night at the opera where one couldn't fail to be transported. 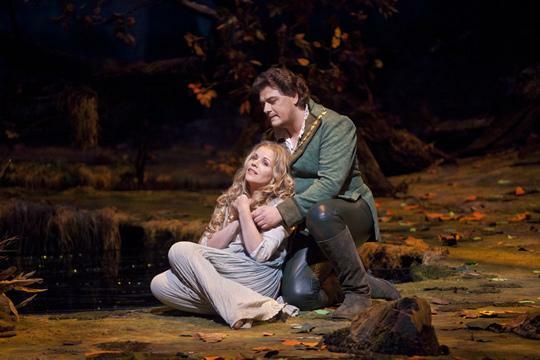 Fleming's championing of Rusalka has made a large contribution to the piece's belated popularity with audiences, and she will remain ideal casting in the title role for a good few years yet. I only hope the Royal Opera will stage this opera in a not too distant future season.